Superdry unisex Carey sweatshirt. 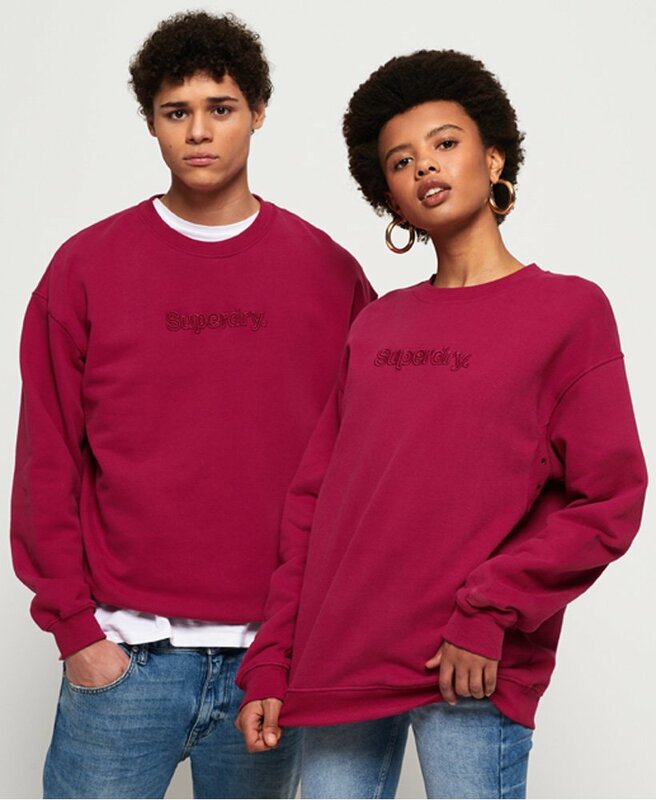 Designed with your comfort in mind, this classic style sweatshirt is oversized in design and features ventilation detailing under the arms to help circulate airflow. This sweatshirt also features long sleeves, a crew neckline, super soft lining and a ribbed collar, cuffs and hem. Finished with an embroidered Superdry logo on the chest, a Superdry logo badge on one sleeve and a discreet rubberised Superdry logo badge on the back. He wears: large. She wears: small.